Top 10 Universities to Study Computer Science in the U.S.
One of the most important things to do before deciding on which post-secondary institute one wishes to attend is researching a variety of schools and their degree programs. For many, the reputation and quality of the school and the programs they offer are important deciding factors. Below is a list of the top 10 universities for those who wish to pursue a degree in computer science– no matter at what level — in the United States. A household name, MIT has consistently been recognized as having one of the top programs for computer science through their Electrical Engineering and Computer Science (EECS) Department. The largest department at MIT, they are recognized for their award-warning research, world-class faculty, and distinguished graduates. Employers worldwide recognize and respect MIT’s reputation. An unfailing top candidate for many degree programs in various areas of business, law, education, and the humanities and social sciences, it is no surprise that Stanford is also ranked one of the top schools for computer science. Known for their world-class academic research, undergraduates at Stanford have the unique opportunity to be involved in research in computer science. Located near famous entrepreneur companies such as Facebook and Google alongside their reputation as a top ranking computer science programs –both graduate and undergraduate — UC-Berkeley offers a triple threat combination of employment opportunities, great academics, and a growing research program. Both a Bachelor in Science and a Bachelor of Arts is offered at UC-Berkeley. Like Stanford, Harvard University has continually been a top candidate for many degree programs in a wide variety of areas. Their computer science programs is offered through the John A. Paulson School of Engineering and Applied Sciences. Currently, Harvard is best known for the research in computer science, covering a range of areas from robotics and computer graphics to energy-efficient architectures. Their department is dedicated to increasing interdisciplinary studies that include computer science. While CalTech may not ring the bell to many, it has recently begin capture the attention of many by ranking amongst top schools in well-known publications such as Forbes, Times Higher Education, and US News & World Report. Their undergraduate degree in computer science is available through the Department of Computing & Mathematical Sciences. UCLA joins the list of one of the many post-secondaries in California with a strong computer science program. Their program is offered through UCLA Engineering, and the computer science department offers a bachelor of science in computer science and computer science and engineering. The latter is recommended for those who have a keen interest in both the theories of computer science and the building of computer hardware.Both of these programs have been accredited by the ABET, an organization that ensure students and employers alike that a degree program will produce quality graduates that are prepared to enter the workforce. Continually ranked for having the top computer science programs in the United States, those who enter Carnegie Mellon no doubt have an advantage when it comes to employer recognition and respect. Prospective students have a number of unique undergraduate programs to choose from, such as computational biology, computer science and the arts, and music and technology. A highly competitive program, Carnegie’s School of Computer Science has a 6% acceptance rate for undergraduates as of 2016-17. At Princeton, both a bachelor of arts and a bachelor of science in computer science is offered through their Department of Computer Science. It is the only department in Princeton that offers both of these degrees. 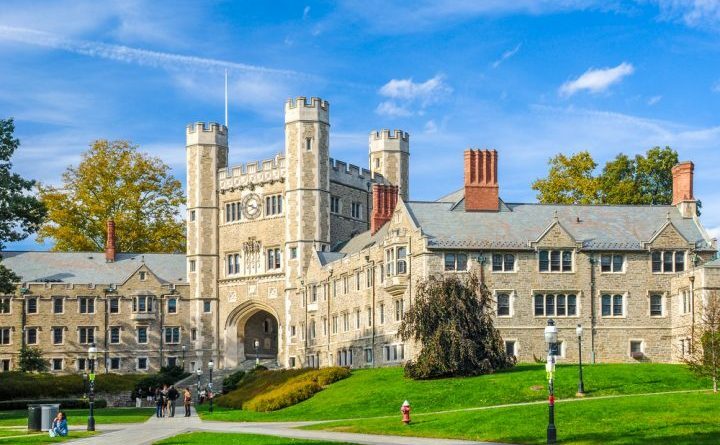 Princeton also offer undergraduates a chance for Independent Work & Theses and to study abroad. A major in computer science at Cornell is offered through both their College of Arts and Sciences and the College of Engineering. Like some of the schools in this list, Cornell offers the opportunity for undergraduates to participate in research. At Cornell, students are eligible receive academic credit while doing independent research alongside the faculty and its member. Through the collaboration efforts across a number of different departments, Yale offers both a bachelor of science and a bachelor of arts in computer science as well as the option of three combined majors — Electrical Engineering and Computer Science, Computer Science and Mathematics, and Computer Science and Psychology. Already one of the top Ivy League schools in the U.S, Yale’s computer science program thrives upon its efforts through its interdisciplinary approach to computer science.